Our latest foodie interview is with Richard from atrtphotos.com . Richard is well known amongst #Canberra tweeps as he has been a regular organiser of #cbrtweetup over recent years. I think I first met Richard at a nearby winery where he dazzled us with his knowledge of Australian wine and appreciation of good cuisine and local wineries. Richard’s passion for Canberra (and photography that promotes our beautiful city) has led to him being a regular in local media with recent forays in the Canberra Times and on ABC 666 radio. He’s a long-time Canberran who loves this city and loves promoting it on a daily basis. He’s also a passionate AFL fan, following his beloved Carlton Blues. Richard is a proud progressive who wears his political heart on his sleeve. And it’s a big heart! I joined Richard for brunch at his favourite local eatery, Tilley’s in Lyneham. Who are you Richard? I’m a father who enjoys everything Canberra has to offer. I love photography and recently started doing it professionally. I’m also experienced in Social Media and website constuction (WordPress, Drupl, Dreamweaver). If you like to hire a photographer for your function (corporate, family, weddings, etc.) you can contact me and check out my photos through my Google plus page. 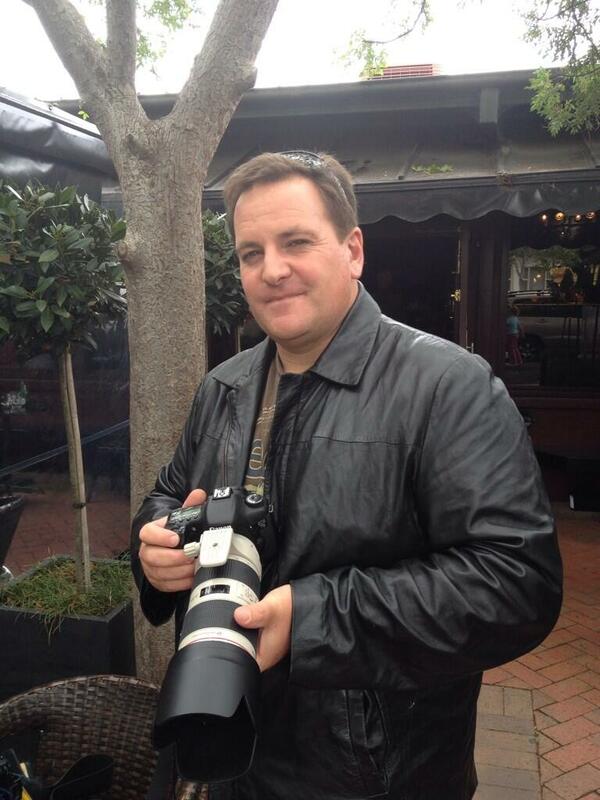 A recent photo of Richard Tuffin with one of his smaller lenses outside of Tilley’s in Lyneham, Canberra. Where do you live? Tuggeranong. Apple or Android? Always Android. Samsung all the way! Favourite devices? Only ones that are for good (ie. Android). 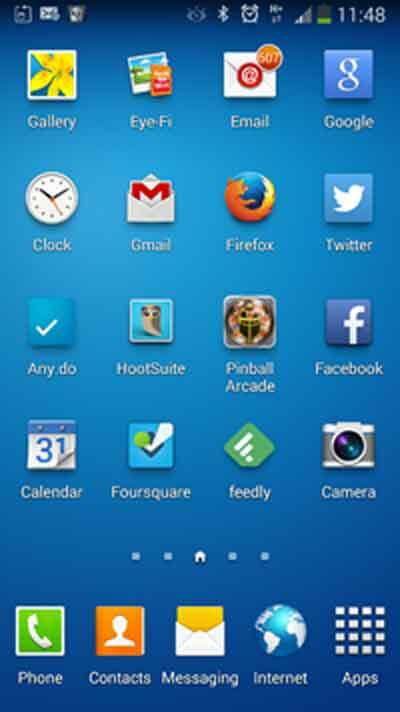 Can we take a peek at your home screen? Richard asked “which one?” lols, then he said “Try this one”. Favourite social media? See above! What’s the first thing online you check each morning? www.CanberraTimes.com.au . Most exciting recent news? That you would be shouting me a free brunch at Tilleys! Recent book you recommend? Don’t hold this against me but I’m gonna say the Bible! Favourite food? 🙂 right now? free brunch at Tilleys! Also all the great cakes at @CBRCakeClub. You can see some of the great photos which Richard took at the February Canberra Cake Club here. This entry was posted in Meet a #Canberra Foodie and tagged blogger, Canberra, CBR, richard, tilleys, tuffin. I have yet to meet Richard… loved this snippet!